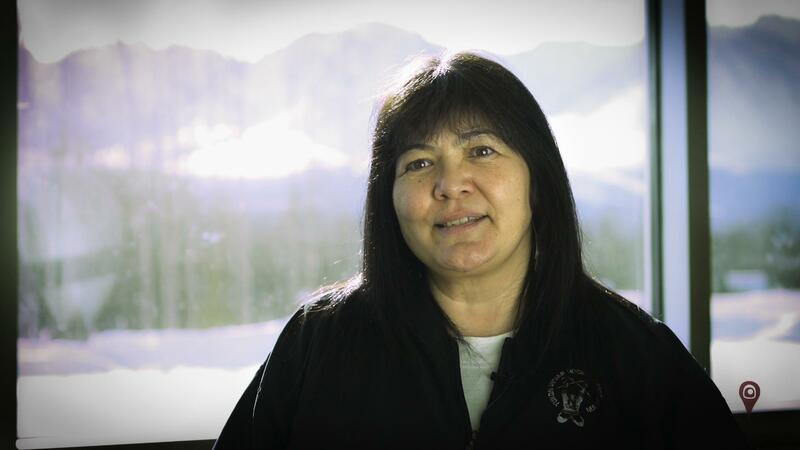 Negotiating the Yukon First Nation land claim and self-government agreements took a long time, and implementing them is an ongoing process. There were many phases, there was lots of disappointment, you know, people put their heart and soul into that negotiation. But I think that’s how we got from point A to point B. It’s just to continually keep pushing, and not giving up, and eventually we get to where we have self-government agreements. I think for Yukon-wide, there’s still some growing pains with relatively new governments, if you look at us, compared to governments in Europe, throughout the world. We’re really new governments, 19, 20 years old. We’re still teenagers! And there’s a lot of work that needs to be done. When Robert Hager, Chief from Nacho-Nyak Dun, said “goodbye, DIAND (Department of Indian Affairs and Northern Development), hello self-government, you know that sends chills up my spine even now when I think of that statement. Communities are still struggling with this of idea of, ‘well, we have to do it this way because that’s how we’ve always done it, this is the way it is under the Indian Act’. And there’s a shift that has to happen, kind of at the grass roots level, where people are taking responsibility for themselves, they’re taking responsibility for their houses, they’re taking responsibility for their children’s education, and it’s a real shift from that dependency of the Indian Act, to becoming independent, self-sufficient governments. Instead of someone else, somewhere, saying that this is what’s important, we can actually go to the grass roots and say, what is it that you want? If you can get the basic level of what your value is as a community and let that seep up to the government, then you’ve accomplished more for their daily wellbeing, for your children, your grandchildren, for the future, for your environment, for the whole community, everything all put together as a whole. And I think self-government allows us to do that.